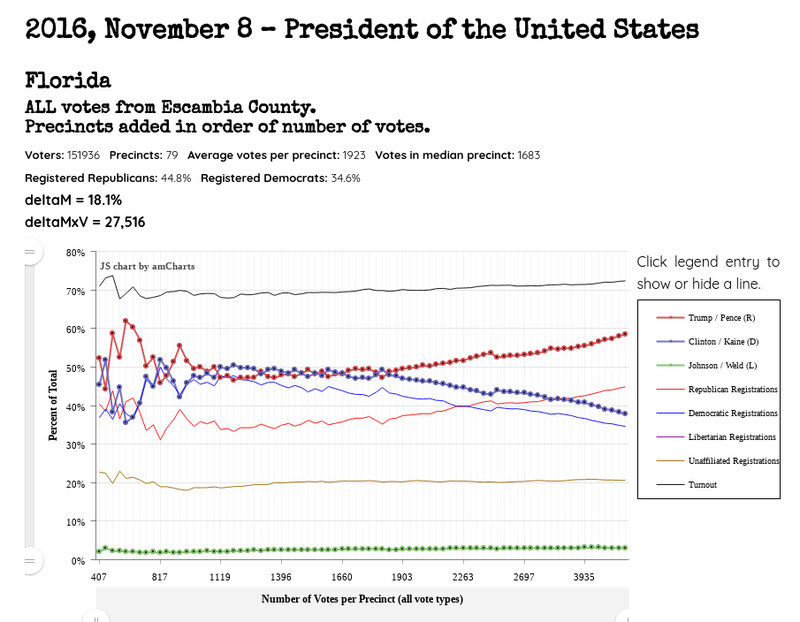 Our analysis of the 2016 Presidential Race in Florida reveals that 16 of its 23 largest counties show a “red shift”, meaning the Republican share of the vote increases when votes are totaled from smallest to largest precinct. Six of these counties show a very strong red shift – greater than 5%. We estimate that the margin between the candidates was changed by at least 218,000 votes due to these red shifts. 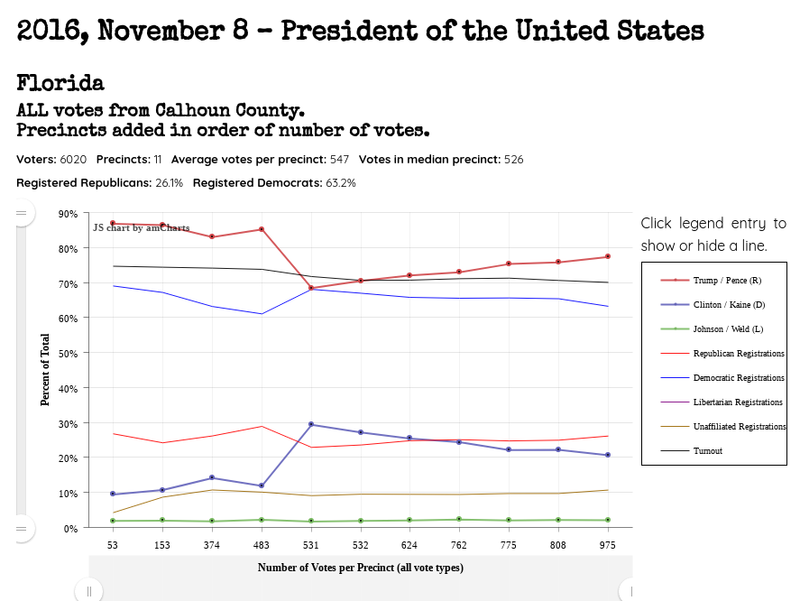 Additionally we found large discrepancies as well as implausible parallels between registration data and vote data. 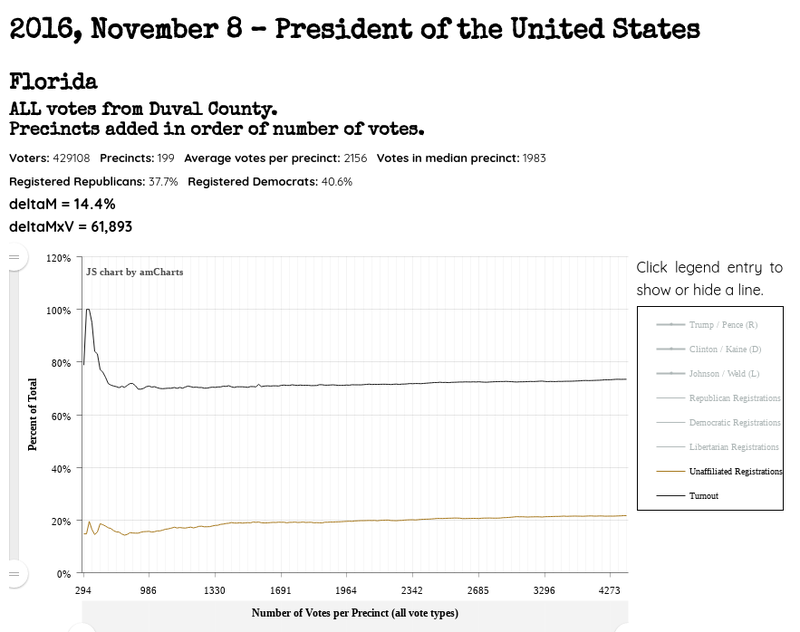 In Florida more than any other state that we have examined, a great many of the smaller counties voted very differently from what the voter registration numbers would lead one to expect. 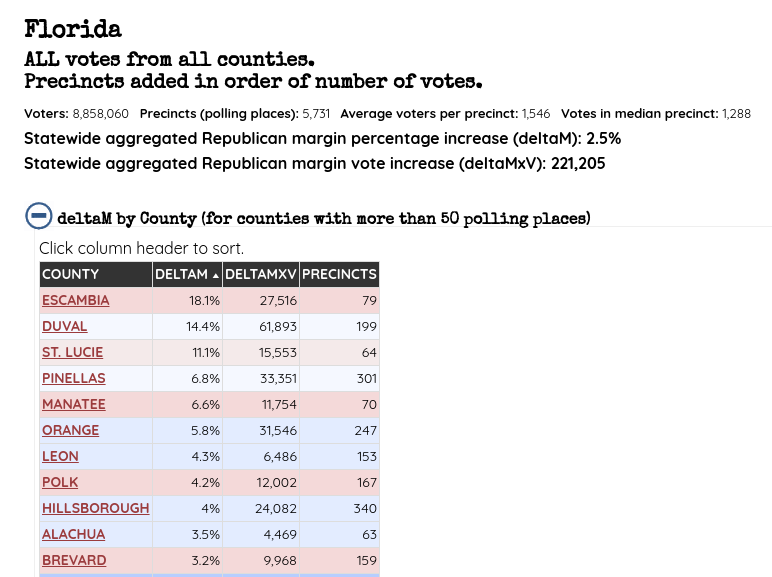 Here are the top “deltaM” values for Florida counties, along with an estimate of the number of votes “flipped” (deltaMxV) in each county. 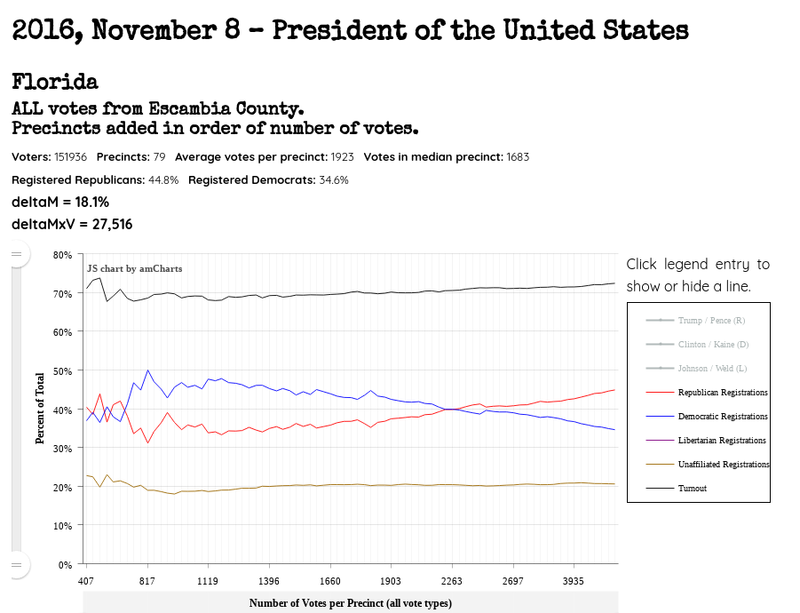 This shows a VERY strong correlation between larger precincts and more Republican registrations in these two counties. 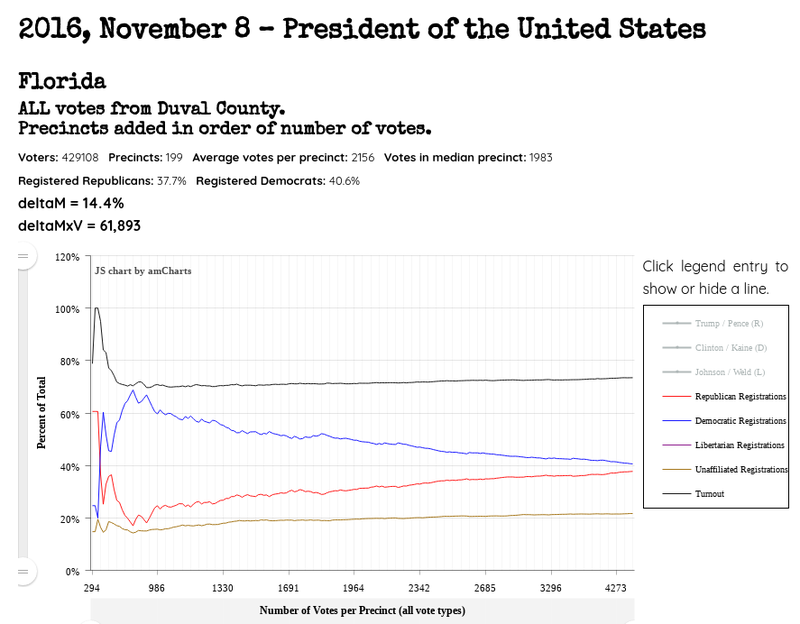 For instance in Duval County, precincts with 1964 and fewer voters are about 30% Republican, while precincts with 2685 and fewer voters are nearly 35% Republican, and the county as a whole is nearly 40% Republican. 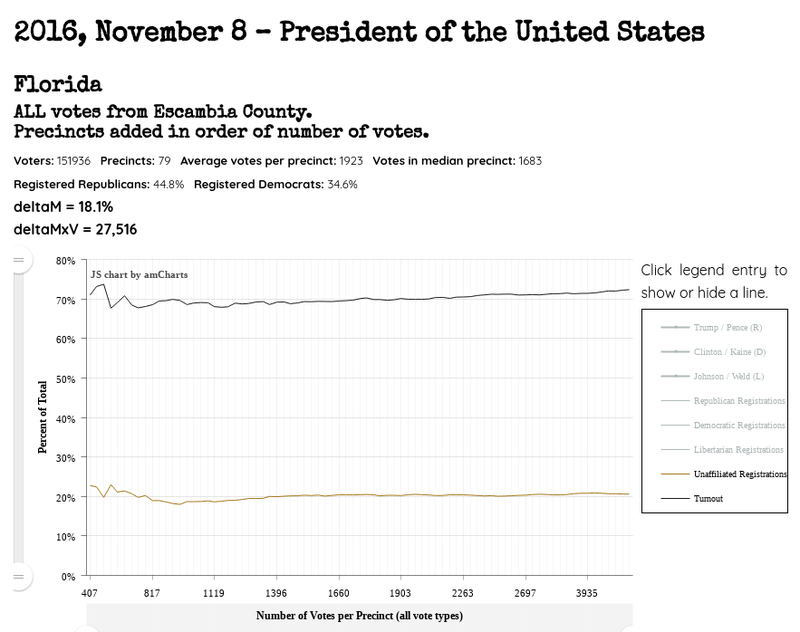 These two graphs, and the graphs for all other large counties in the state show something extraordinary. 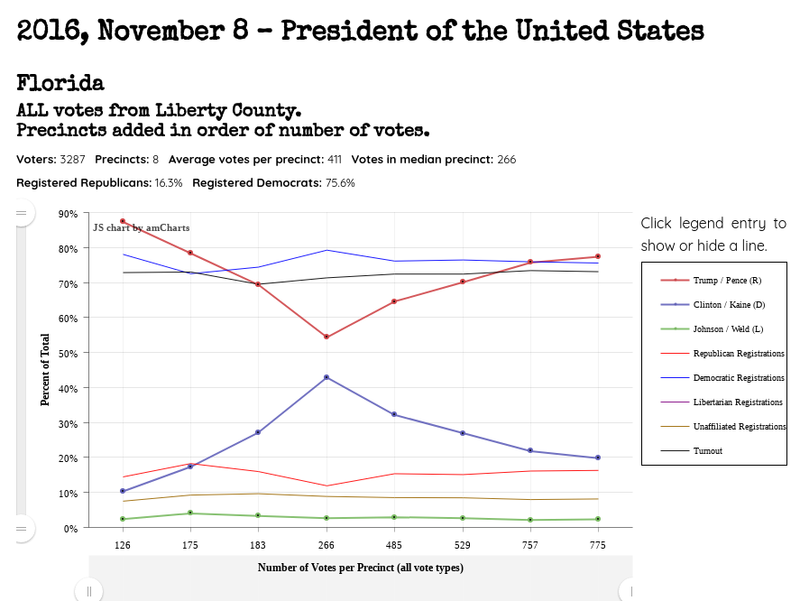 The voter registration lines parallel the vote lines almost exactly. This is particularly bizarre considering that 20-30% of voters in Florida are not affiliated with either political party. 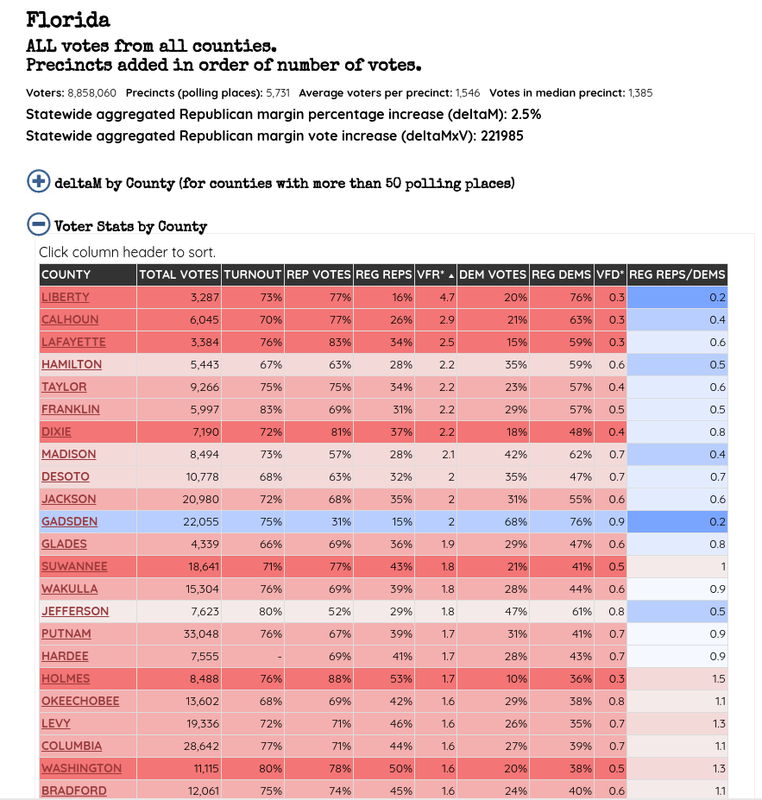 What this means is that Democrats and Republicans must have turned out and voted along party lines at the exact same rate in all precincts in all counties, and the unaffiliated voters must have stayed home or divided their votes in exactly the correct proportions to cause the lines to be parallel. 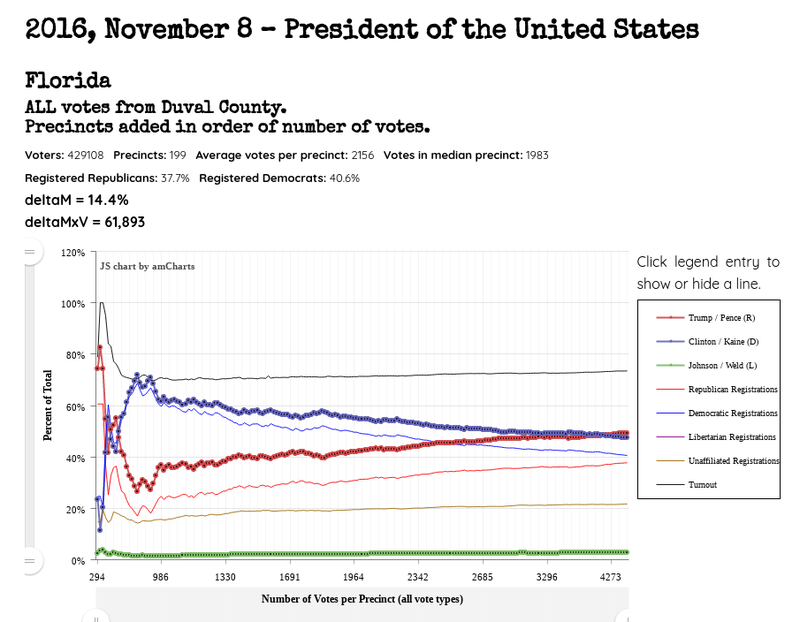 The implausible patterns apparent in the voter registration data for Florida leads us to wonder whether voter registration records were manipulated in order for vote manipulation in the individual precincts to seem more plausible.